What is a Certified Financial Modeler? A Certified Financial Modeler is someone who has successfully completed all the requirements of CFI’s Financial Modeling & Valuation ProgramFMVA™ CertificationThe Financial Modeling & Valueation Analyst (FMVA)™ accreditation is a global standard for financial analysts that covers finance, accounting, financial modeling, valuation, budgeting, forecasting, presentations, and strategy. . The program includes 12 required courses (9 core courses and 3 elective courses) and requires a passing grade of at least 80% in each of the courses’ final assessments. What are the skills of a Certified Financial Modeler? A Certified Financial Modeler must possess strong skills in three main areas: accountingFinancial Accounting TheoryFinancial Accounting Theory explains the "why" behind accounting - the reasons why transactions are reported in certain ways. 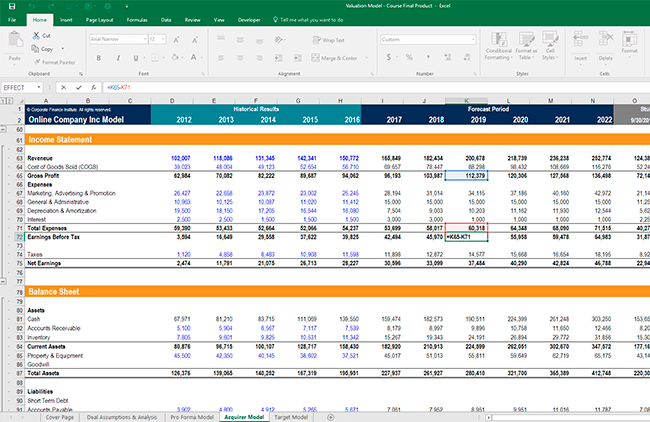 This guide will help you understand the main principles behind Financial Accounting Theory, finance, and Excel. To learn these skills, students complete instructor-led, video-based classes with numerous examples and exercises that teach practical applications. Why become a Certified Financial Modeler? There are many reasons to become a Certified Financial Modeler. The most important is to demonstrate to employers your commitment and focus on becoming a world-class financial analyst. In a world of increasing competition for the top jobs in finance, it’s more important than ever to stand out from the pack. Completing a rigorous 100-hour program such as CFI’s certification shows employers that you have the ambition and the skills required to perform great financial analysis. Unlike other designations, CFI’s Certified Financial Modeler program focuses almost entirely on practical applications and real-world analysis. This approach means you gain the actual hands-on skills required to take financial information, interpret it, analyze, come to conclusions, and communicate the results. CFI’s Financial Modeling & Valuation programFMVA™ CertificationThe Financial Modeling & Valueation Analyst (FMVA)™ accreditation is a global standard for financial analysts that covers finance, accounting, financial modeling, valuation, budgeting, forecasting, presentations, and strategy.